Auctions are like diamonds, they have many facets. 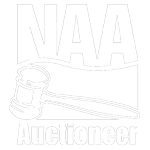 Professionally conducted auctions require the work to be done before the auction starts. The presale work is an essential element to any successful auction. This phase requires masterful skills of organization, visualization, knowledge of values, knowledge of the buyer, and the auction process. All Hilpipre auctions are professionally prepared. Allows the tempo and momentum of the auction to reach the proper level. Provides the buyer with a highly organized process for buying. Contributes to the removal process. All items are tagged, numbered, and cataloged. Cleaning, painting, repairing and rearranging are necessary for certain situations. Allows for a buyers’ catalog to be produced. Our marketing success is a continued reflection of our years of experience and knowledge. We have a profound understanding of our buyers and the thought process they use. Direct sale brochures, trade journals, our highly viewed website, and other forms of social media are used. An accurate detailed budget is established. In house mailing lists and designated industry mailing list. We structure a marketing strategy which fits your needs. What separates auction companies? Performance on auction day characterizes the differences between auction companies. The single most important element of the auction is the auctioneer. His performance will directly affect your bottom line. Our auctioneers possess the skills, talents and the experience you need. We have the skills to interact with the buyers’. The ability to read the buyer’s intentions and control the auction’s tempo. We know the market value and how to encourage the bidders’ enthusiasm. The techniques needed to keep the auction moving is a trademark we have earned over the decades.